The Rajiv Gandhi International Stadium will host the 33rd game of the season between Sunrisers Hyderabad and Chennai Super Kings on April 17. 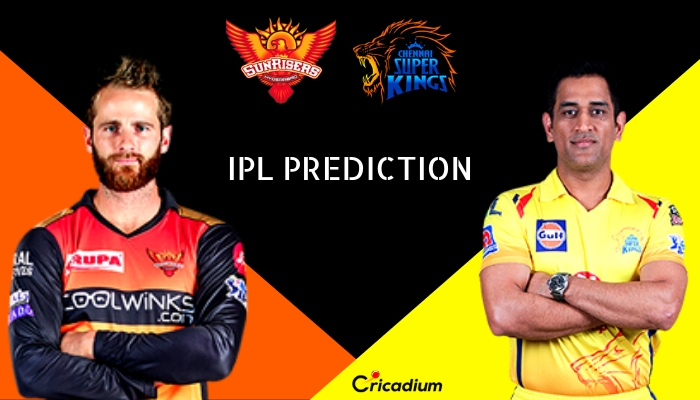 Keep reading to find out the IPL 2019 Match 33 SRH vs CSK Match Prediction. SRH, after a very good start, lost 3 matches in a row. The Orange Army is in dire need of a turnaround. Whereas the defending champions are marching strong having lost just one game so far. But we can expect a tight contest between the two sides in Hyderabad. Historically, CSK has been dominant as the Men in Yellow have won 9 out of 11 encounters against SRH. However, it’s all in the past as the two sides make a fresh start in the league. Be rest assured of tough competition this time. IPL 2019 SRH vs CSK Match Prediction: SRH, despite playing well, has lost 4 out 7 games this season. It is too good a team to lose so many games on the trot. We back them to make a comeback and get their campaign back on track. Predictions are for entertainment purpose only. We don’t get involved in or promote betting or gambling. Also, We strongly discourage behaviors of participating in illegal activities related to cricket. Our experts try to be as correct as possible, but we do not guarantee 100% correctness.